This website is dedicated to showcasing my artwork and highlighting news and events of the art shows I participate in as well the new paintings that are available through my two studio locations as well the art galleries that represent me. I have been a full time artist for 34 years since my graduation from UT-Austin in 1983 with my degree in Fine Art. I have shown in dozens of Art Galleries in States from coast to coast,.....California, Arizonia, New Mexico, Illinois, Oklahoma, Texas, Tennessee, Florida and yes even in New Jersey! Along the way I have also participated in hundreds of Art Festivals primarily in the Southwest and Continue to do so. My paintings are primarily completed in Watercolor, and at times in Acrylic using a modern abstract style. I enjoy landscapes of the Southwest and Rocky Mnt. region....as well Coastal subjects. I grew up just a short drive from South Padre Island in Harlingen, TX....so paintings of Palm trees, the Beach and Shrimp boats in Marinas are also dear to my heart. Now in the Gallery as you will see visiting and viewing the work here online, I have two distinct directions with my paintings. One is primarily more realistic and tends to be landscape....the other is more contemporary and modern. I invite you to visit with me in person, or drop me an email with any comments or questions you may have about the website or the artwork. Please share with your family and friends the work that I do. 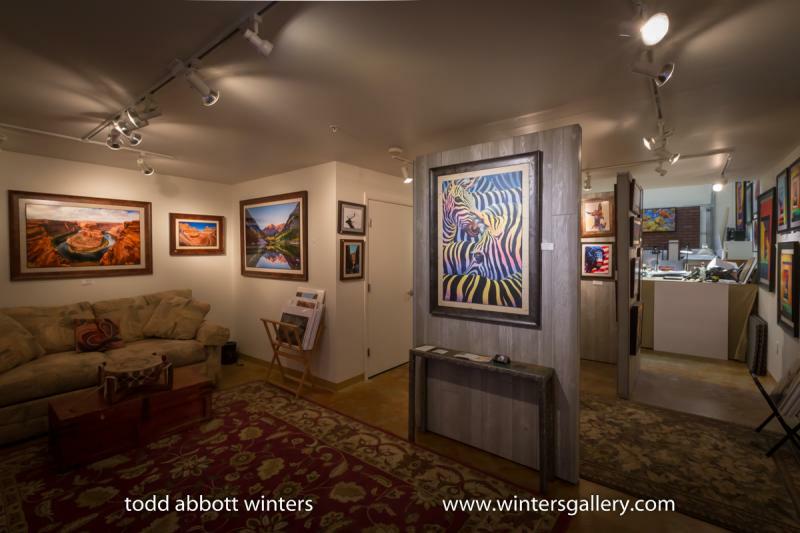 Also please keep in touch....I send out an email to friends about once a month with updates about the paintings, new reproductions and my art shows throughout the Southwest and here online. So fill out the 'CONTACT' form and become a part of my growing 'Art Family'!